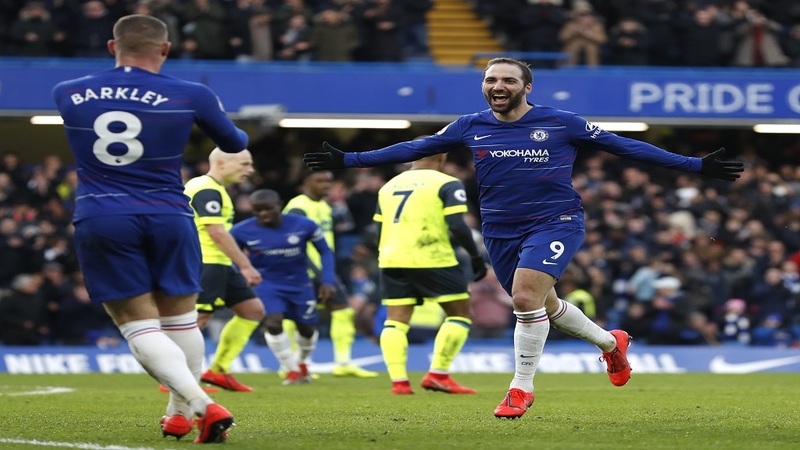 Chelsea's Gonzalo Higuain celebrates after scoring his side's fourth goal during the English Premier League football match against Huddersfield Town at Stamford Bridge stadium in London, Britain, Saturday, Feb. 2, 2019. 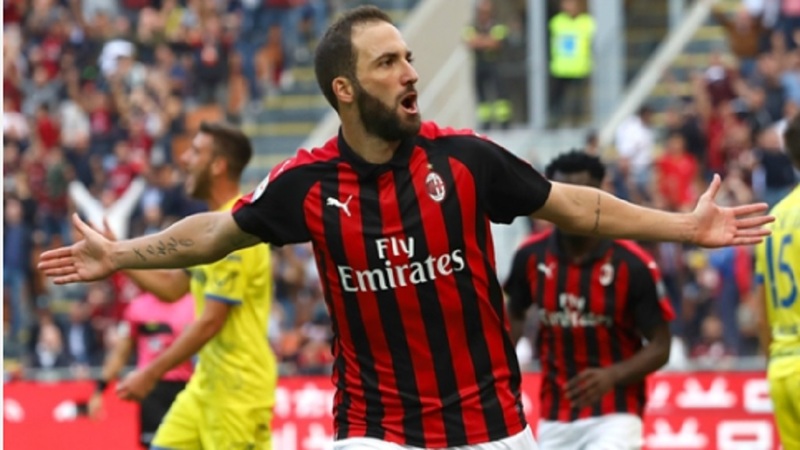 Gonzalo Higuain scored his first Chelsea goals in a 5-0 rout of Huddersfield on Saturday, halting the slump after back-to-back English Premier League losses that created uncertainty about manager Maurizio Sarri's future. So often deployed as the "false nine" in the absence of the genuine thing, Hazard still scored twice. The first came from the penalty spot in first-half stoppage time, but he also netted from a tight angle in the 66th. 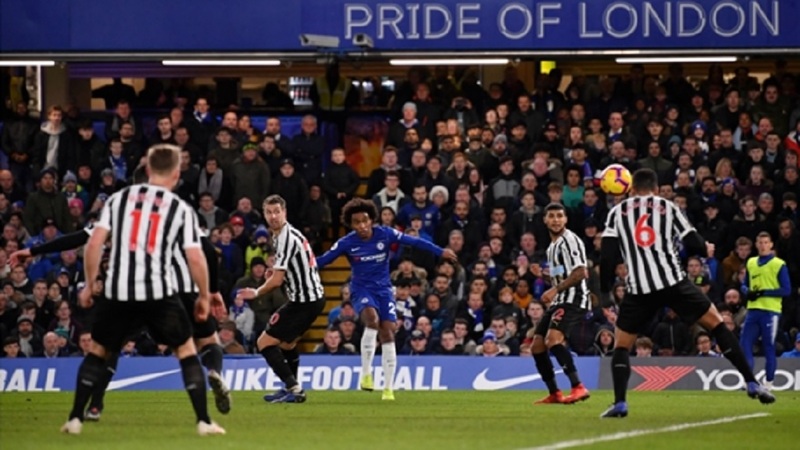 The victory against the league's bottom team was rounded off by David Luiz's header in the 86th. 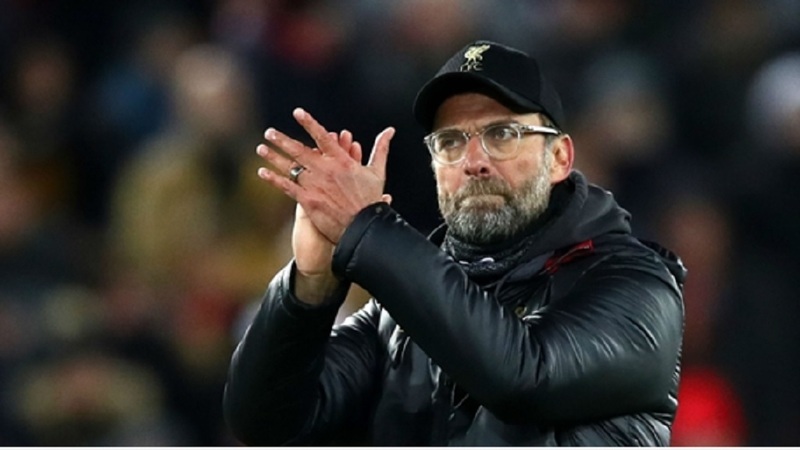 Chelsea returned to fourth place ahead of Arsenal playing at defending champion Manchester City on Sunday.